Popcorn Time, the popular multi-platform, free software BitTorrent client that is often compared to Netflix for its ease of use, took the internet by storm five years ago. Despite increased popularity, the program was abruptly taken down by its original developers in March 2014 due to pressure from the MPAA (Motion Picture Association of America). However, the shutdown did not stop other developers from forking the application over and over. While many of these forks were shut down, there were still some which continued to operate. Popcorn-Time.to, originally operating from Popcorn-Time.se, is one of the longest standing forks that is operational since 2014 until today. For those unaware, Popcorn Time software is in itself legal, but if the app is used to share copyrighted content that they don’t own rights to, it becomes illegal. As a result, content creators including Hollywood studios have been threatening such apps, their distributors, as well as users with legal consequences for quite some time now. Venice PI, Millennium Funding, and Bodyguard Productions, which own the rights to prominent film titles such as “The Hitman’s Bodyguard,” “London Has Fallen,” and “Once Upon a Time in Venice” are working hard to shut down Popcorn-Time.to through a federal court in Hawaii. 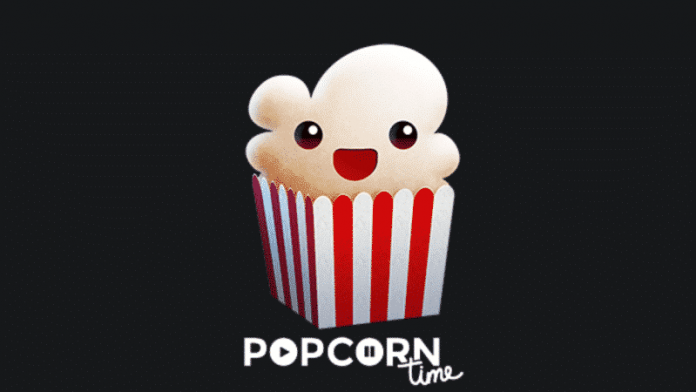 Although the movie companies had filed a case against Popcorn-Time.to over a year ago, the alleged mastermind behind the Popcorn Time fork was revealed in an amended complaint filed only a few days ago, reports TorrentFreak. Stanislav Amelychyts, a Ukrainian resident, whose name was obtained by the filmmakers through a former hosting provider, BlackHOST, has been identified as the brain behind the operation. BlackHOST had served the Popcorn-Time.to website last year. “Plaintiffs bring this action to stop the massive piracy of their motion pictures brought on by the BitTorrent protocol software application Popcorn Time,” the movie companies write in their complaint. The defendant has been accused of running the entire operation including distributing copies of the software through the Google Play store and the uptodown.com website. Popcorn Time was also advertised as a ‘pirate’ tool on the latter’s site. “Here, once again Defendant makes no secret of Popcorn Time’s illegitimate purpose – infringing Copyright protected content by stating ‘Popcorn Time is an app that enables you to watch tons of streaming movies – from classics to new releases…’,” the movie companies write. The movie companies also found out that the Windows and Android versions of Uptodown.com – another popular source – were downloaded more than 4 million and 12 million times respectively. While the lawsuit originally started as a case against several anonymous BitTorrent pirates, all but one has been dismissed now. Clinton Bovee, a Hawaiian resident is the remaining ‘user’ who is accused of using Popcorn Time and downloading several movies without permission. The movie companies have blamed Bovee of direct copyright infringement and the Ukranian mastermind behind Popcorn Time of contributory copyright infringement. They have also demanded damages, which can go up to $150,000 per pirated film, in the lawsuit. Additionally, the companies have requested an injunction to shut down Popcorn-Time.to and have the domain transferred to an account under their control. The Court has yet to provide a ruling on the request. Although the lawsuit gives a detailed explanation of the allegations against Popcorn Time, the only information related to the Ukranian defendant comes from hosting company BlackHOST, which can be accurate. However, this information could also be inaccurate, since ‘pirate’ operations mostly depend on fake account details. The Popcorn Time team has yet to comment on the allegations. In the past, the attorney representing the movie studios has filed similar actions against other alleged pirates and pirate services, including Showbox and Dragon Box.